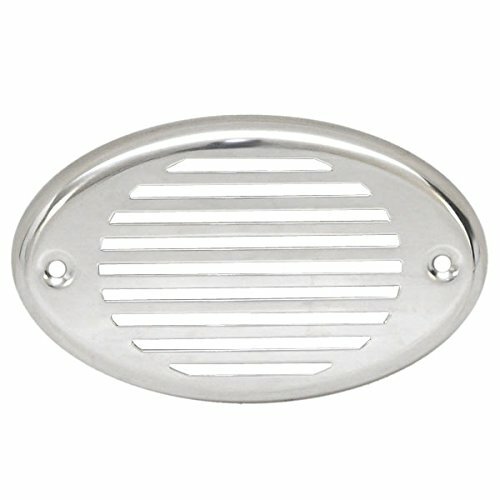 Boat part number 1064754 is a new stainless steel horn cover grill from Innovative Lighting, part number 540-9900-1. Commonly used on Ranger Boats, part number 1936154, may be used on others. This horn cover grill is made from stainless steel and measures approximately 4 3/8" L x 2 5/8" W x 3/8" T overall. Features (2) countersunk mounting holes approximately 3 1/2" apart center on center. If you have any questions about this product by Ranger Boats, contact us by completing and submitting the form below. If you are looking for a specif part number, please include it with your message.